KonaRed’s Hawaiian Coffee Fruit is the fruit of the commonly known coffee plant, Coffea arabica. 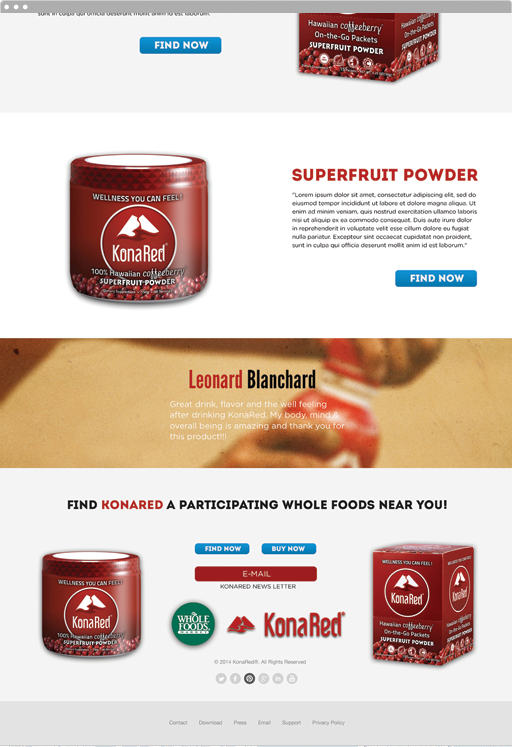 KonaRed is uniquely sourced from Hawaii Coffee, where it has developed over 175 years. 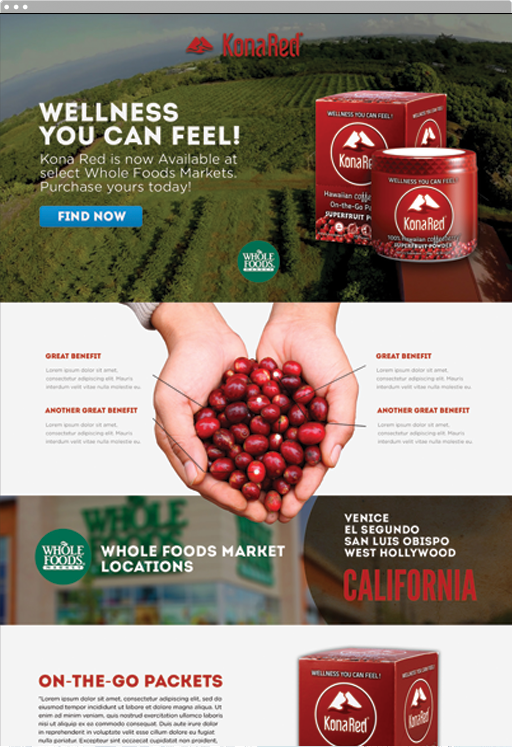 They were fortunate enough to get shelf-space in several Whole Foods stores across California and needed a landing page to help market their products as well as the available Whole Foods locations to find them in. 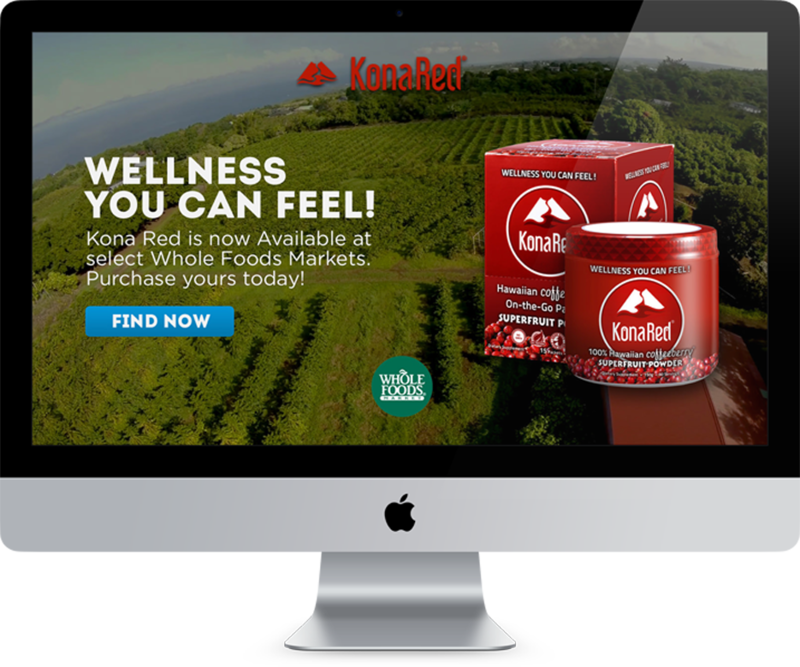 We wanted to make sure users not only knew what Whole Foods stores were carrying KonaRed products but, also inform them of the many health benefits the coffee fruit has that many people might be unaware of. Combining both those messages with some testimonials and trust indicators created a nice marketing asset to help sell more products.